Please check the training link calender for exact dates and locations. The Grand Forks and Fargo offices will be closed Friday, April 19th in observance of Good Friday. All Journeyman Wireman Books were last cleared on 4/12/19. The IBEW Local 1426 Scholarship is for dependents of 1426 members who will graduate in the spring of 2019. Please click here for requirements and an application or stop in the Union office. Application must be returned to the office by 5/15/19. The Northern Plains United Labor Council Labor Leaders Scholarship is for students planning to attend a ND or MN University, College, Tech or Trade school. For requirements and an application, please click here or stop in the Union office. Application must be postmarked by 5/31/19. The MN AFL-CIO Scholarships are for graduating high school seniors who will be attending a post-secondary institution within the state of Minnesota. Requirements and application may be found online or in the Union office. Deadline is 4/30/19. The Nellie Stone Johnson Scholarship is for students at a Minnesota State Colleges and Universities institution. Please click here for requirements and an application or stop in to the hall for information. Application must be postmarked by 6/1/19. Volunteers are needed for electrical work on the Veterans Memorial Park in Grand Forks. Please call the Grand Forks or Fargo office for information. "Giving kids clothes and food is one thing, but it's much more important to teach them that other people besides themselves are important and that the best thing they can do with their lives is to use them in the service of other people." "A" construction members are now required to participate in Building & Trades at a fee of $42 per year for North Dakota residents and $26.80 for Minnesota residents. The North America’s Building Trades Union, exists to provide support for unionized workers in the construction industry of North America. Our goal at B&T is to promote growth and development of construction trade unions to ensure a safe, fulfilling, working environment for tradesmen and women in North America. A strong sense of support for and between unions and union workers allows trade unions to have a real, strong, presence in their community and government at both a local and national level. 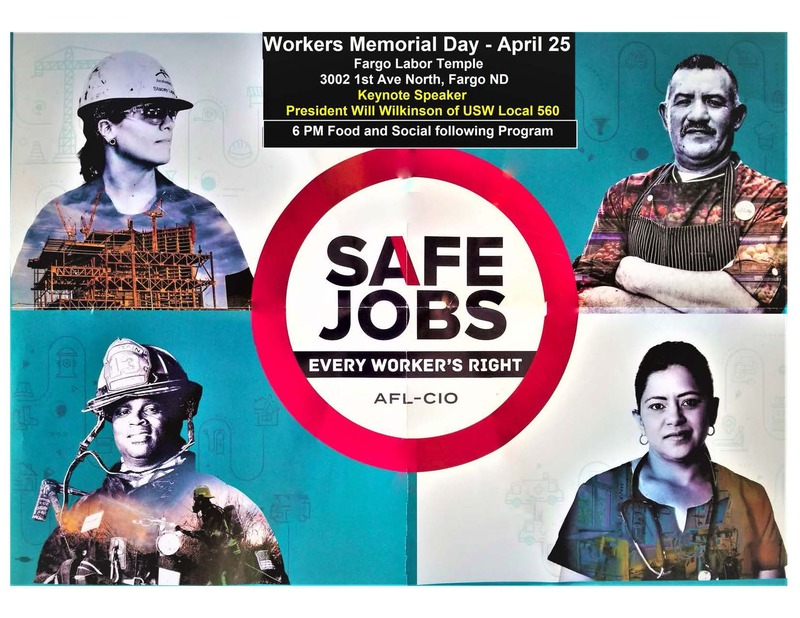 By working together with other local unions in North Dakota and Minnesota, tradesmen and women benefit in terms of safety, economics, and, representation. More information on North Dakota's Building Trade's Union can be found at http://www.ndbtu.org/. The 29th annual IBEW fishing tournament was held on Saturday, February 16th at Woodlands Resort, Devils Lake ND. There were over 45 participants, with representation from many IBEW Locals. A sincere thank you to the business managers from 714 and 1426 for planning and coordinating this event and all of its success. The overall winner of the tournament this year was LU 292. The individual winners are as follows. First place Perch went to Jeremy Schmaltz from LU 292 with a 1.08lb, Second place went to Luke Burt from LU 1426 with a .90lb and Third place Perch went to Jeremy Schmaltz from LU 292 with a .80lb. First place Walleye went to Jason Gill from LU 292 with a 3.92lb, Second place was also Jason Gill from LU 292 with a 2.38lb and Third place Walleye went to Doug Zezulka from LU 292 with a 1.92lb. For the Northern winners first place went to Ryan Lien from LU 292 with a 11.02lb, Second place went to Aaron Lein from LU 292, with a 8.38lb and Third place went to Al Kleszyk from LU 292 with a 7.54lb. Congratulations to all of the winners. Winners of the Gun Raffel were Darin Hultberg from LU 1426 and Judd. We would like to thank all that participated in this years derby and give a big thank you to all the spouses and children who attended. This truly makes for a great family weekend enjoyed by all. Bids that are received between the hours of 8:00am and 5:00pm Monday-Friday will not be accepted. Open calls may be taken at any time. ALL resigns will be made from the 10th through the 16th of each month. The delegates of the 39th IBEW International convention which was conducted in St. Louis, Missouri, during the week of September 19 through 23, 2016, approved amendments to Article IX of the IBEW Constitution. Accordingly, effective January 1, 2019, the monthly PBF contribution will have an increase of $1.00 for all "A" members. If you are on dues deduction, your employer will be notified of the increase. If you are on Electronic Transfer, we will make the change with the bank. For "A" member in construction dues will be as follows: Effective January 1, 2019 dues will be $48.70 per month.